If you are a Mercedes Benz enthusiast, you will often want to look up a specific vehicle identification number. Decoding a VIN will help you see features, transmission codes, type of engine, year in which the vehicle was produced, and other options. 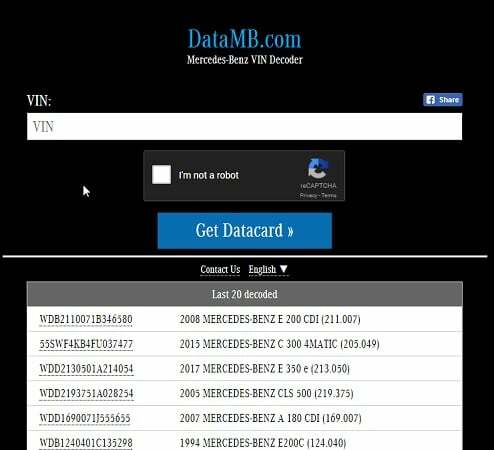 Thus, you must know about the Mercedes VIN Decoder if you own a Merc. 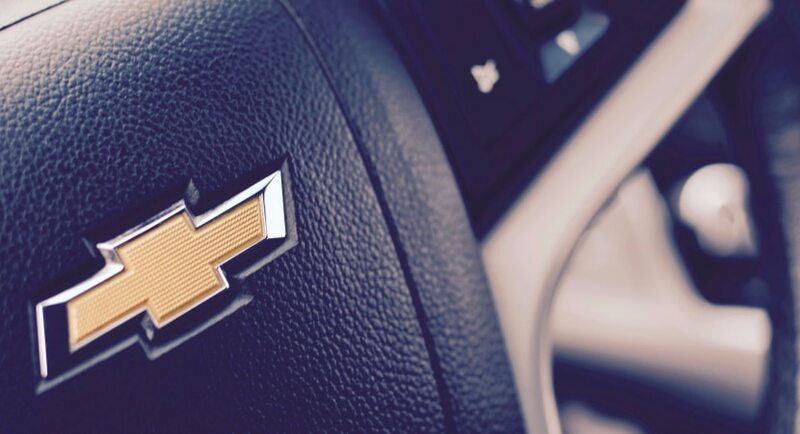 You can find out the make and model of a vehicle during the process of ordering or dealing parts and accessories. 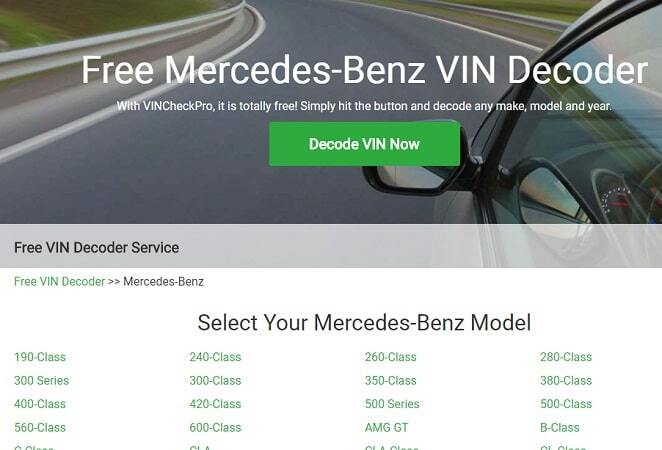 When searching for Mercedes VIN decoder tools, you need to look for an easy user interface, extensive description of the vehicle whose identification number has been entered, and also, you should look for a cost-free option. 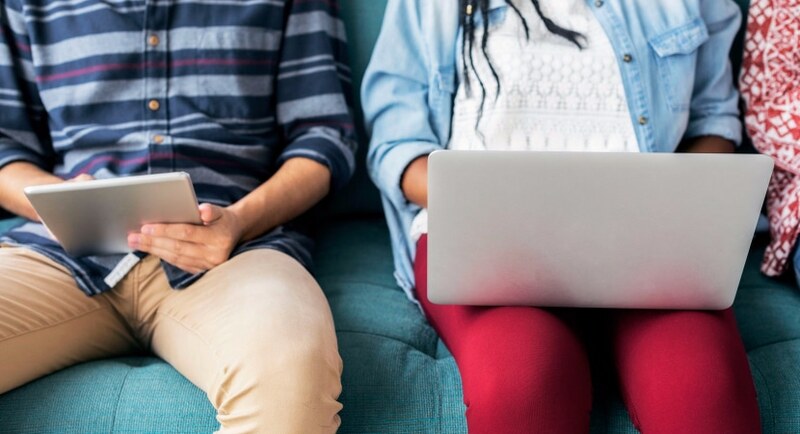 You will find the following list of websites useful. Also, there are various other VIN decoder tools too such as BMW, Ford, Dodge, Chevy, Chevrolet, Toyota & Jeep. 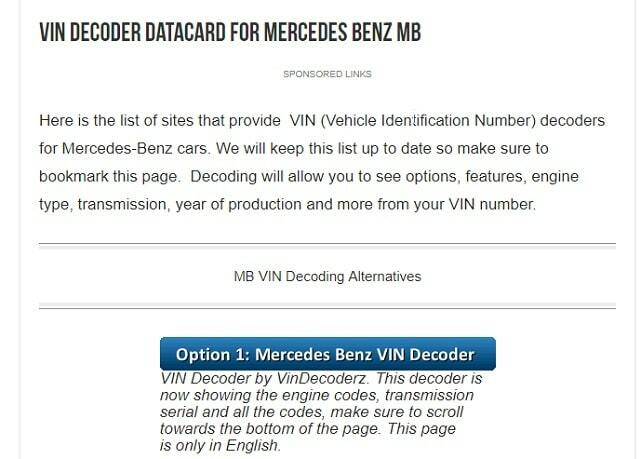 The official Mercedes Benz catalog offered by Mercedes Benz USA is the reliable Mercedes VIN decoder. 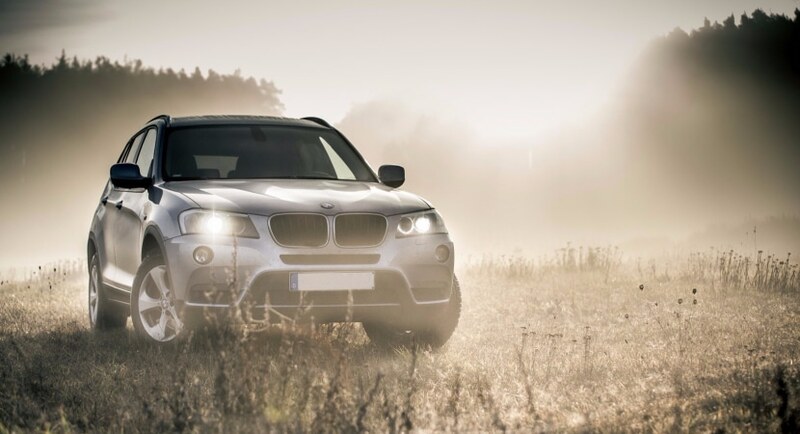 However, the most significant disadvantage is that this tool is only applicable for vehicles registered in the United States. You will need a proper card for registration, to confirm your residence in the US. You will also need to enable Java on your system. The parts catalog is a great option for US dealers who are looking up a lot of parts and are decoding quite a lot. The CarInfo website offers codes for paint color, engine type, transmission and so on, and you will be delighted at the fact that the tool is present in several languages, such as English, Spanish, Portuguese, French, and German. This website is a reliable decoder for its wide range of presented specifications and its variety of interface languages. However, the information presented by the site is not as extensive as the official Mercedes Benz parts catalog. 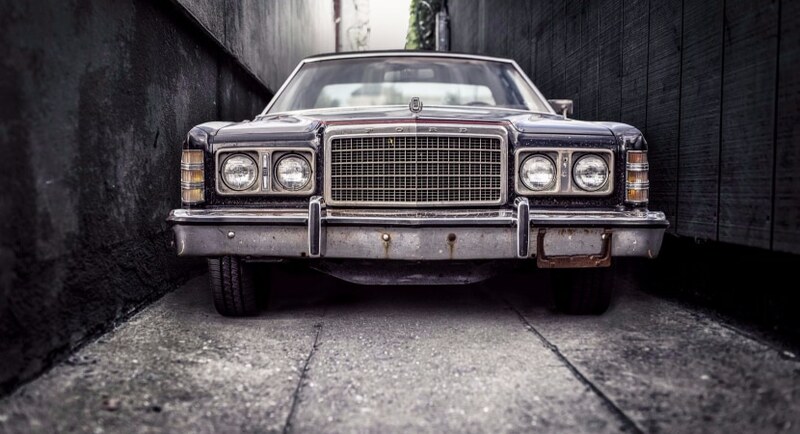 The VinDecoderz website offers a lot of background information on Vehicle identification numbers, including what it means and how to interpret it. 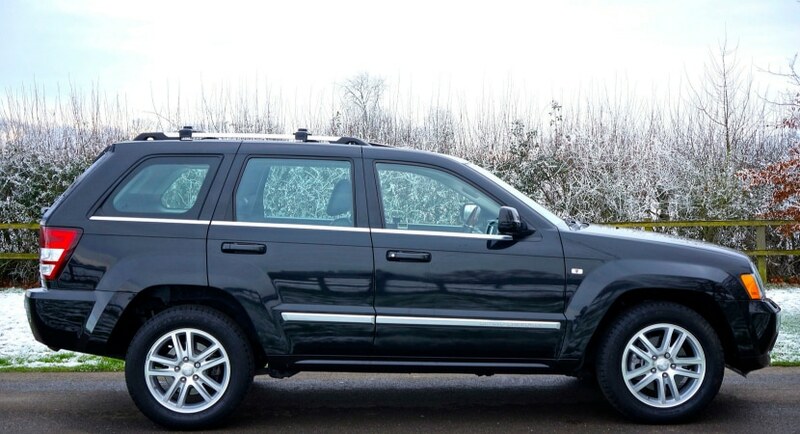 You will be able to find out the transmission serial and engine codes from the decoder dedicated to Mercedes. This website also presents other decoders to try. You will please when you see the guide like instructions and easy to read user interface of VinDecoderz. You must note that this website is not an official one, such as the parts catalog, and it has probably derived the specifications from public information. 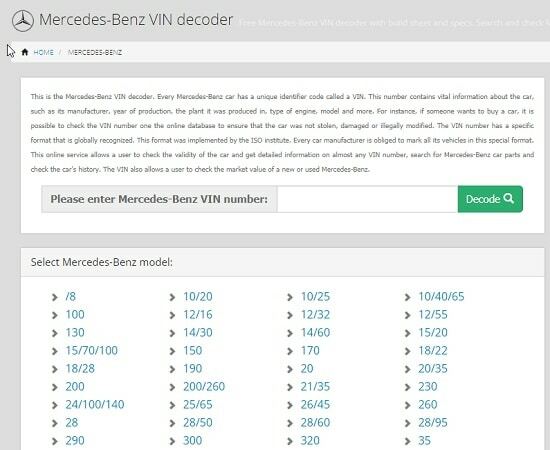 The Mercedes VIN decoder by Mercedesvin lets you enter the vehicle identification numbers of up to 3 vehicles. If you enter the VIN, you will encode features of your car, such as the year of production, trim of vehicle, upholstery, paint of the exterior portion of the vehicle, model of the vehicle and custom options about the specific vehicle. This is a relatively extensive and particular decoder and is easy to read. You can also connect with people who are passionate about Mercedes to gather more information. 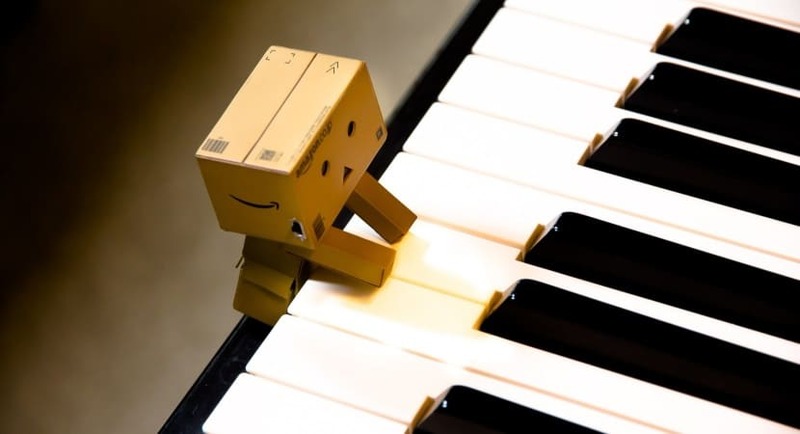 You will found this site useful and to know that there is one app on this list, thus sparing you the hassle of finding a computer. This app from empirical.me has received a 4.4 rating on Google play store and can boast of more than ten thousand downloads and good reviews. 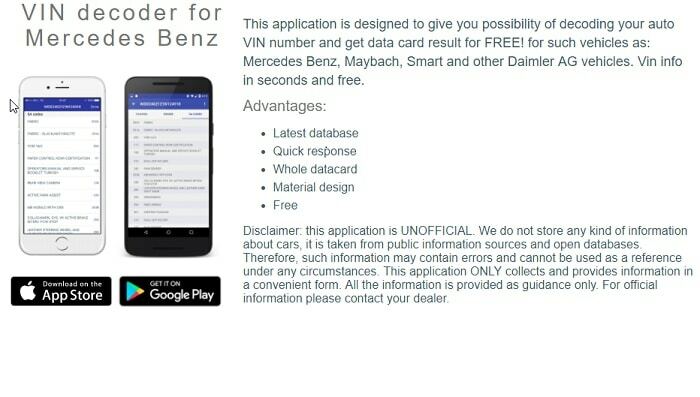 The VIN decoder app is for all Daimler AG vehicles such as Mercedes Benz, Smart, and Maybach. Empirical.me declares itself as an unofficial app, and states that the app only displays all through publicly held information related to the vehicle, derived from open source databases. You will probably find the app and the displayed information to be limited because of this reason. One drawback of this tool is that like with most apps; you have to bear with the ads. This site is similar to VinDecoderz. The Vindecoder website displays model of vehicle and year of production, body and make of the specific vehicle, engine and transmission specifications, trim of the car and the car parts that are available in the markets of the US, European countries and even other nations. 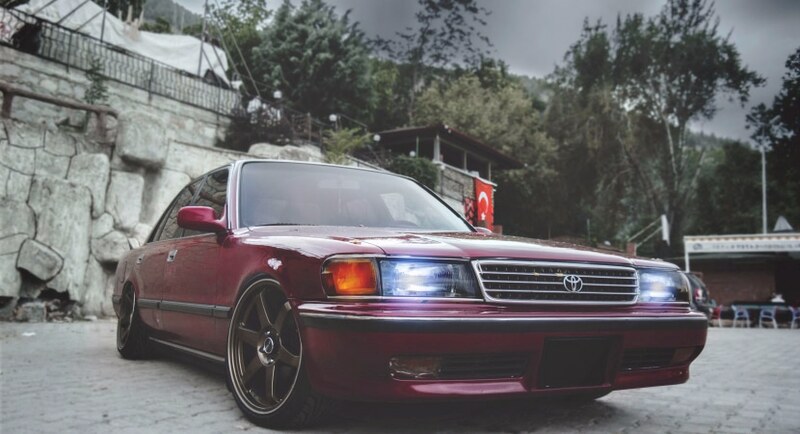 The site offers an extensive compilation of information, and if you are a dealer, chances are you will appreciate the availability of car parts that the editor mention in different markets around the world, to get a rough idea. 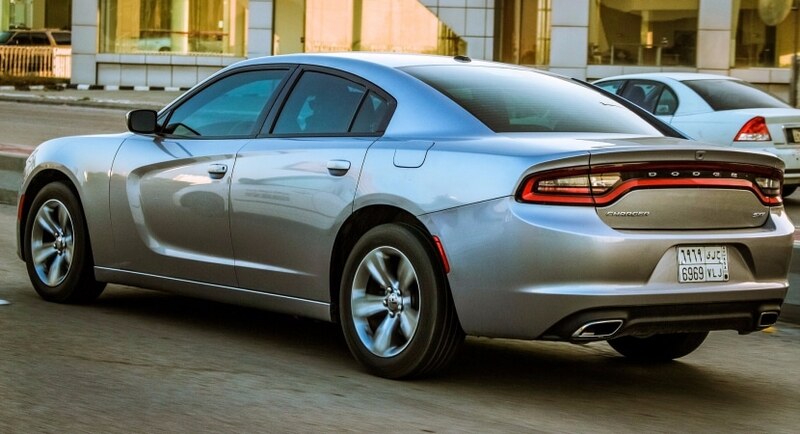 It is another website that offers a long list of information regarding the vehicle identification number in a straightforward manner. 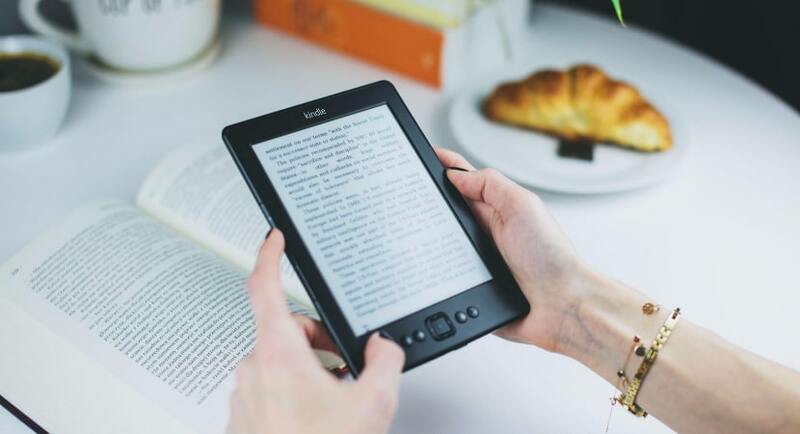 If you are comfortable with different languages, you will find it to be quite user-friendly as the website displays information in Dutch, Spanish or French. The site presents engine and transmission information, make and model, and year of production of the vehicle. 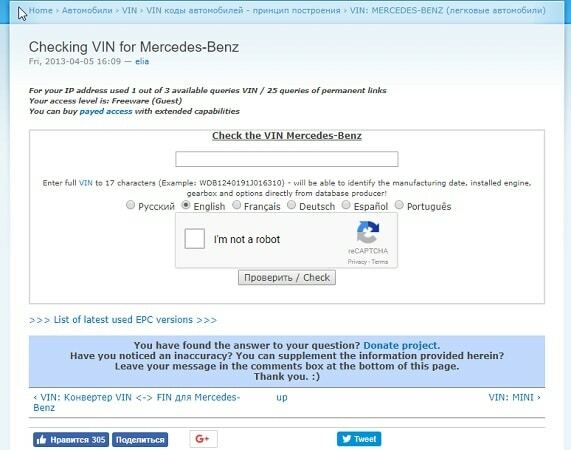 VinCheckPro is one of those websites that intends to not only give you whatever information relates to the given vehicle identification number, such as engine, transmission, make and other features, but the site also gives you a thorough explanation on VINs. It is popular for some vehicle companies, including Mercedes Benz. You will be at ease, just reading through the different reasons to decode vehicle identification number. And what you can expect from a valid report. The site has one of the best user interfaces. 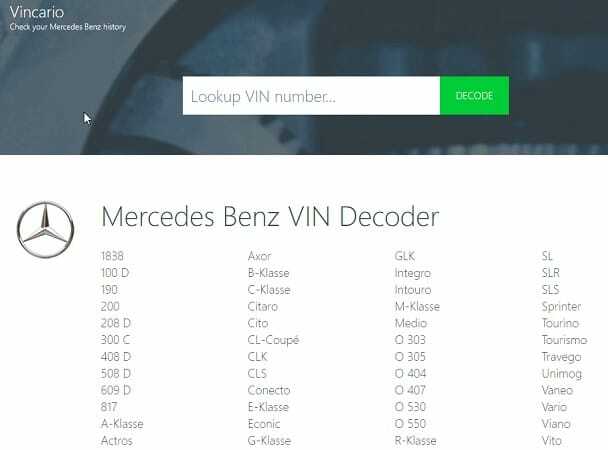 These are some of the best Mercedes VIN decoder tools for you. You must seek out options that give you the maximum possible information. Depending on your purpose of wanting to decode the VIN. Most decoders don’t provide you with information about current owners of vehicles for legal reasons. But the reports can help you make reasonable estimates when you are dealing parts.